I Am A Roofer By Birth. I Remain A Roofer By Choice. "The Right Way Is the Only Way." 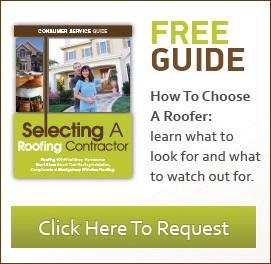 Does it really matter how a roofer FEELS about roofing? I know, kind of a weird question - but I think it's an extremely important one. You see, most roofers "fall into roofing" because they think it's easy money, or because they couldn't figure out anything else to do with their life. It's pretty safe to safe to say that no child ever answered the "what do you want to be when you grow up" question by saying "I want to be a roofer!" My dad was a roofer, and when I was a kid I couldn't wait to get home from school so I could ride with him to give estimates or check on jobsites. He actually started paying me when I was 16, and I've been a professional roofer ever since - over 35 years now. I can honestly say that I LOVE roofing. To me, a roof is like a canvas - there's an art to it. When I see how some roofers treat the canvas, it makes me angry. That's just how I feel about it. That's why we strive to do EVERYTHING right. We use only the best materials - we never cut corners. We only use highly experienced employees - we never pick up laborers like others do. We never apply sales pressure, and we always guarantee our prices in writing, up front. And best of all, we never require that you pay us a dime until the job is 100% completed to your satisfaction. That's how people who LOVE roofing run the business. That's how we run our business. Thanks for visiting our website. We look forward to serving you. Montgomery Winslow Roofing, also known as The Florida Roofer, is the premier residential roofing and commercial roofing company in the southern Florida area, including Alva, Arcadia, Bonita Springs, Cape Coral, Captiva Island, Estero, Fort Myers, Fort Myers Beach, Golden Gate, La Belle, Lehigh Acres, Marco Island, Naples, North Fort Myers, Sanibel Island, Pine Island, Port Charlotte, and Punta Gorda. In fact, we offer roofing repairs and replacement roofing in all of Lee, Charlotte, Collier, and Hendry Counties. 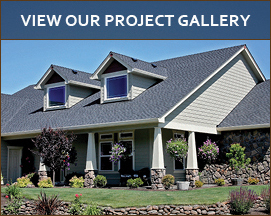 WE specialize in roof replacement for commercial and residential structures, including tile, metal roofs, shingles, flat (modified and single-ply), as well as new construction roofing of the same types. In addition, we also offer roof inspections, maintenence service agreements, emergency service response, roof leak detection and repair, gutter repair, gutter replacement and sheet metal work. Please call us for a free estimate. We require no money down, lifetime waranties on materials, and 10 year warranties on roofing labor. We'd be honored to earn your business. Since 1980 - State Board member for several years.